Ahh you've done it again! I just love this idea! Cute! 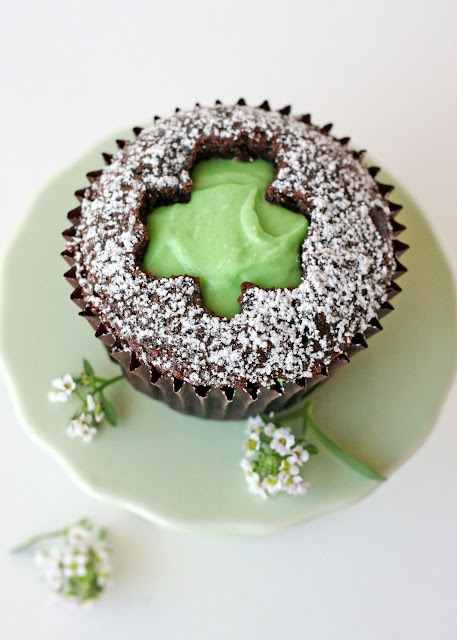 Best St. Patrick's Day treat I've seen so far! Cute! 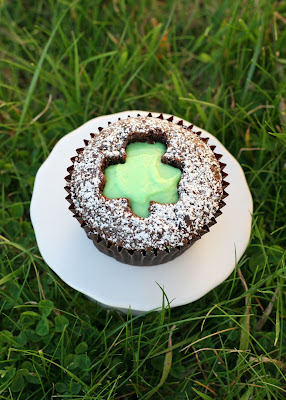 We made Cut Out Clover Cupcakes a few weeks ago…http://kitchenfunwithmy3sons.blogspot.com/2012/02/cut-out-clover-cupcakes.html They were fun and very easy to make. Yours look great! absolutely cute and beauty Love them! These are so pretty! Awesome job! 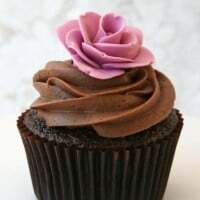 You are the Cupcake QUEEN! The shamrocks just pop! Absolutamente bello te felicito,abrazos hugs,hugs. Super clever! Less messy too, with the little frosting "cap." Incredible pictures and good idea. unique & creative. like it! I just made a similar version of these but using a Guiness/Baileys cupcake! 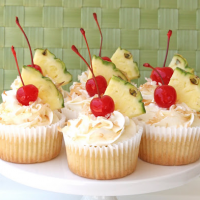 Yours are adorable and look absolutely delicious! 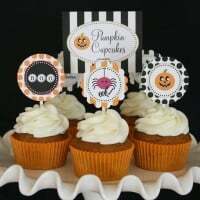 I love this cut-out idea! Beautiful. OH…so lovely…after you heart cupcakes I imagine you will introduce us with something different but using same technich. I love this idea!! 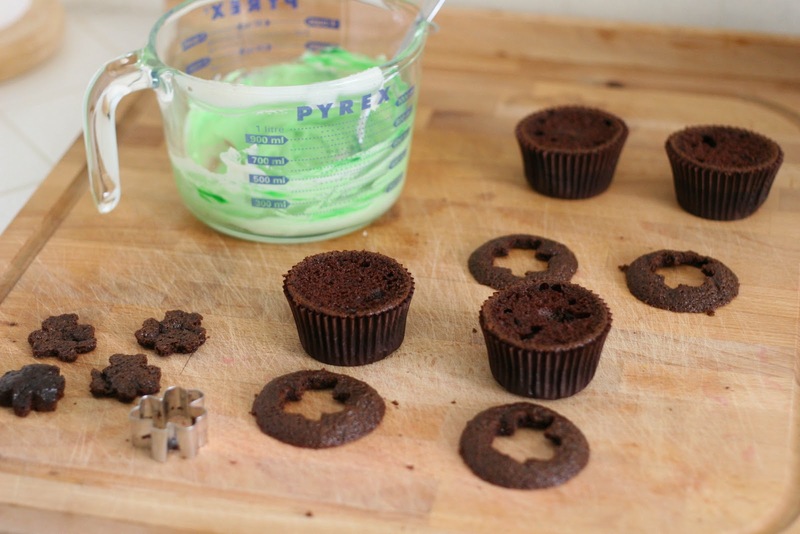 A friend gave me a tin of tiny, shaped cutters and I NEVER even thought of this!! Thank you!! SO smart!! And pretty. 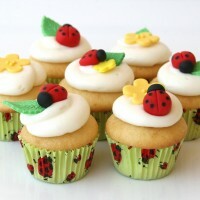 I would love to eat one! I may like these even more than the hearts. And I have grass envy for sure. It was summer here yesterday. Today is is snowing. I am not kidding. Boo. I love this so much. I would love to see a Easter version of this as well!! These are too cute! Very innovative. 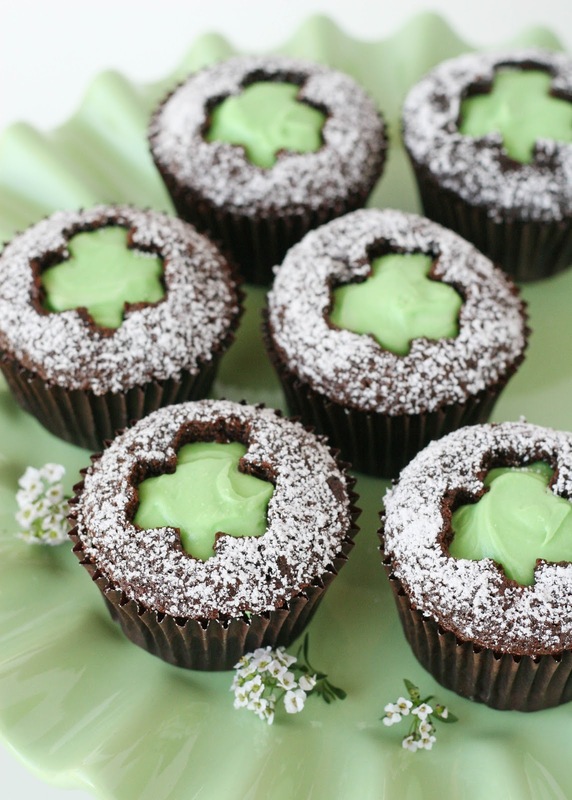 I'm going to have to find little shamrock cookie cutters so I can make this before the holiday hits. Such a fun idea! Just pinned!